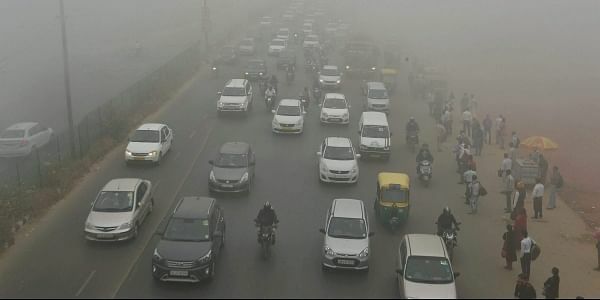 The AAP government had yesterday announced introduction of the odd-even scheme as part of a Graded Response Plan to tackle the alarming pollution situation in the national capital. NEW DELHI: The National Green Tribunal (NGT) today said it would examine at 2 PM today the Delhi government's decision to roll out odd-even car rationing scheme for five days starting from November 13. A bench headed by NGT Chairperson Justice Swatanter Kumar directed the Delhi government to submit before it the details of the ambient air quality during the earlier implementation of the odd-even scheme. The Green panel directed the counsel appearing for the Delhi government to be ready with all the requisite data and show before it the reason for implementing the latest odd-even scheme. On April 21, last year, the Central Pollution Control Board (CPCB) had told NGT that there was no data to suggest that the odd-even scheme has led to a decline in vehicular pollution in Delhi-NCR. The pollution monitoring body had said that there was no data to indicate that car rationing scheme has any impact on decrease in vehicular pollution and the fluctuations in PM10 and PM2.5 is due to weather and change in wind patterns. The national capital is experiencing 'severe' air quality under a blanket of thick haze, as pollution levels have breached permissible standards by multiple times. The Central Pollution Control Board (CPCB) has recorded 'severe' air quality, meaning that the intensity of pollution was extreme.